An air miles credit card gives you air mile points for every RM you spend locally and even overseas. You don’t have to spend on travel-related items or air tickets to earn miles; spending at restaurants, retail, or online shopping counts as long as you charge it to your air miles card. These air miles can then be utilised to redeem airline tickets or seat upgrades to business class for free. 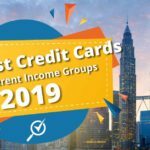 This credit card type is most popular with frequent travellers as they can enjoy additional perks like access to airport lounges, free travel insurance, and discounts on hotels and overseas dining. Because you earn more miles on overseas spend than on local spend. 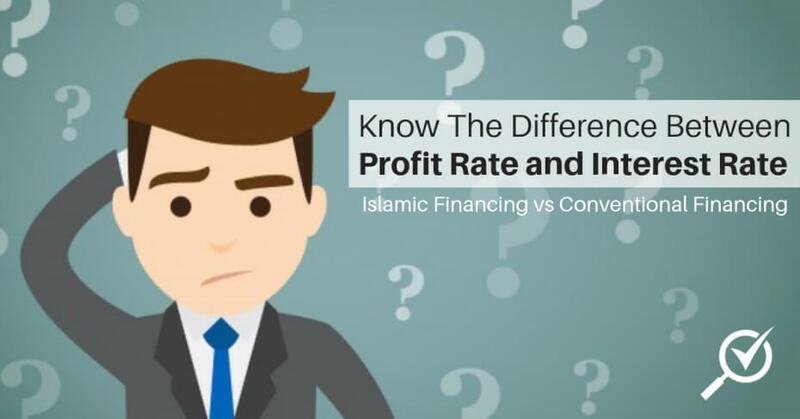 It is important to note that 1 RM does not equal to 1 air mile and each bank offers different conversion rates for local spending and overseas spending. The range for local spending starts from as low as RM0.95 with the Maybank 2 Card Premier to as high as RM12.50 with BSN credit cards. The range for overseas spending starts from as low as RM0.30 per 1 air mile with the HSBC Visa Signature credit card, to as high as RM11.00 per 1 air mile with the RHB Signature credit card. Each bank has their own redemption rate for air miles credit cards so be sure to find the one that you will receive the most value from. How does an air miles credit card work? However, this example does not take into account the fine print you need to review when identifying the right air miles credit card for you, including knowing the airlines you can redeem your air miles with, knowing the redemption rate, identifying the expiry date of these air miles, and more. This guide will go into that much deeper. Why do I need an air miles credit card? It’s a well-known fact that Malaysians love to travel and despite ending 2016 with a lower consumer confidence, holidays and vacations continue to be an area that we are willing to spend in. Although the appeal to travel overseas isn’t as alluring due to our weakening Ringgit and the higher costs associated with it. But if you’re a frequent flyer and you are thinking about applying for an air miles credit card or already own one, you can save money by redeeming your air miles. There are many benefits to be gained from using an air miles credit card. Aside from helping you save money, you can upgrade your seat, redeem free flights, gain access to premium travel lounges and more. Redeem free flights: The primary benefit would be the ability to redeem flights with your air miles. You can opt to pay for the entire flight fee with your miles, or you can pay with a part redemption part cash option as well. Upgrade your seat to Business class or First class: A Business Class or First Class ticket feels out of reach for many of us. It’s a privilege few of us get to enjoy, and if we’re lucky, the airline will decide to upgraded your seat upon check-in. The price difference between an Economy Class ticket and anything above it is extremely high, at times, it doesn’t seem worth it. However, here’s a little tip: A great option is to buy your flight ticket with money and then use your air miles to upgrade your seat! It’s one of the best value-added perks you can get out of your miles and especially useful for those long-haul flights. Access to airport lounges worldwide: Some credit cards provide access to airport lounges like the Maybank 2 Cards Premier that gives you 5X access to Plaza Premium Lounges in Malaysia, the HSBC Visa Signature that gives you 6X access to Plaza Premium Lounge, KLIA, Singapore Changi Airport & Hong Kong International Airport or the Standard Chartered WorldMiles World Mastercard that gives you unlimited access to Plaza Premium Lounges in KLIA & KLIA2. You can also use your air miles collected to redeem airport lounge access. 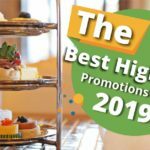 Discounts on hotel bookings: Being a credit card that is linked to travel, it makes sense for it to offer discounts and privileges on hotel and dining. The Maybank 2 Cards Premier offers up to 50% discount on dining at Shangri-La Hotel in Kuala Lumpur or 50% discount at SPG Hotels & Resorts. Travel insurance: You may have life, medical and even car insurance, but do you have travel insurance? If you don’t, and you rather not spend the additional fare on travel insurance when buying flight tickets, use your air miles credit card instead. Some credit cards offer this as part of their features and benefits so be sure to read the fine print to check if this is included. The amount of travel insurance you are covered by varies from RM750,000 up to RM2mil. Golf club benefits including complimentary green fees: If you travel for golf, you can stand to enjoy the benefits as some of the air miles credit card offers complimentary green fees. The Maybank 2 Card Premier offers complimentary Green Fees for 79 Golf Clubs in 15 countries or the CIMB Enrich World Elite Mastercard that offers exclusive regional golf privileges at prestigious clubs in Malaysia, Indonesia, Singapore and Thailand. Works best for big spenders: If you plan on owning a credit card for emergency use only, you are probably better off with a No Annual Fee credit card. Someone who frequently spends on their credit card stand to gain a lot from their air miles credit card. By spending more, you will earn more air miles which you can later redeem for greater rewards. 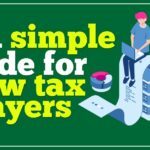 If you’re not a big spender, the annual fee and higher interest rate may not be the best option. You still have to pay any surcharge fees or airport taxes: Aiports and the government still need to make money. An air miles credit card can help offset the cost of a flight ticket or excess baggage, but you will still need to pay your airport taxes and any surcharges. Because of this, at times it does not make sense to use your precious air miles on a cheap economy ticket. Save your air miles and understand its conversion rate to get the best value. Your air miles expire: Most airlines give a span of 3 years, which is a healthy amount of time to spend and collect air miles for a big-ticket flight. But if you’re forgetful or have lost track of time, you stand to lose all those air miles and could never get it back. You snooze, you lose! You may be in the market for a new credit card but you’re not entirely sure if an air miles or cashback or rewards credit card is the best one for you. What’s the difference? An air miles credit card rewards you with air miles for every ringgit you spend. The amount of air miles you receive depends on the conversion rate of the bank. You can utilise your air miles to redeem free flights, free seat upgrades, access to travel lounges and more. A cashback credit card gives you a percentage of your money back, it is credited back into your credit card account at the end of your statement cycle. The amount of cashback you receive depends on the cashback rate of the bank. Essentially, you save money with a cashback card. A rewards credit card allows you to earn reward points for every ringgit you spend. The amount of rewards you earn depends on the bank’s loyalty program. You can then utilise these reward points to redeem a gift from the bank’s rewards catalogue. 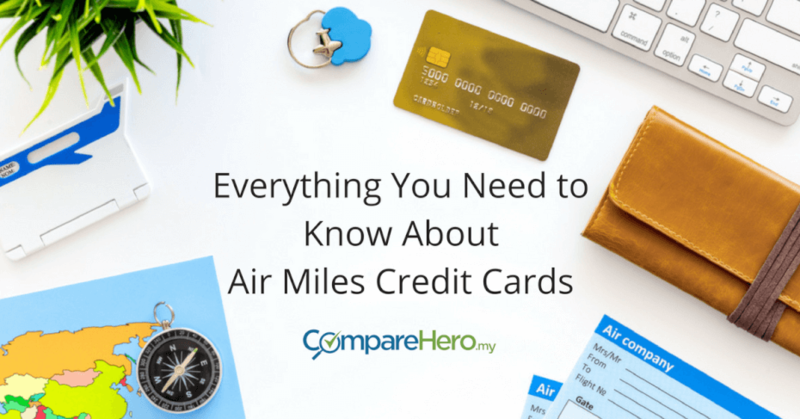 There are so many factors to consider when applying for an air miles credit card and this information overload can get overwhelming. Suddenly, it doesn’t seem as crystal clear and you’re not sure which air miles credit card would be the best one for you. Yes, it’s true that an air miles credit card, when used properly, can help you save money by redeeming your air miles. To help you find the best one for you, here are 5 factors you need to consider when choosing your air miles credit card. First, ask yourself if you are a loyal traveller or not. If you are a loyal traveller with one specific airline, you would best benefit from an air miles credit card that is co-branded with that particular airline. For example, Citibank offers credit cards that are tied to AirAsia BIG points including the AirAsia-Citi Gold Visa credit card and the AirAsia-Citi Platinum Visa. If you rather have an air miles credit card that allows you to redeem from more than one airline, don’t worry. Most air miles credit cards allow you to earn a multitude of air miles for various airline operators either via World Miles, KrisFlyer Miles, Asia Miles, or Enrich Miles to name a few. Just be sure you know which airlines your credit card allows you to redeem miles for, which leads us to the next point. The CompareHero.my comparison table makes this easy for you as we spell out how much you need to spend locally and overseas to earn 1 Mile. It’s important to note that an air mile point is not worth the same value across different airline operators. Each loyalty programme has their own redemption rate, for instance, every RM2 spent would maybe equal to 4 AirAsia points which are equal to 1 AirAsia BIG point. Or for every RM6 spent, that might only equal to 1 Malaysia Airlines Enrich Mile. It’s worth researching how many air miles you would need to fly to your preferred destinations across your preferred airline operators and then looking for the card that gives you the best rewards. When you use our free comparison tool, we tell you how much RM you need to spend overseas and locally to earn a mile for every credit card. Be sure to read the fine print to see what other features are included such as travel insurance or access to premium lounges in airports. This is often overlooked and many credit card users falsely believe their air miles collected never expire. As much as it pays off to save your air miles, don’t wait too long. Keep an eye on the expiry dates and don’t let your miles go to waste. Air miles usually expire 36 months from the time the miles have been credited to your account, that’s about 3 years. By knowing the conversion rate and also reviewing the airline’s website, you can easily estimate the quantity of air miles you need to redeem a free flight, and budget your spending accordingly. Used wisely, an air mile credit card can help you save money on your travels, allowing you to fly further! Perhaps you earn at such a low rate that you will not be able to save enough miles for your trip before the expiration, in which case an air miles card makes little sense. Think about the type of traveller you are and where you most frequently spend your money. Do you cross the seas or do you travel domestically? Credit cards reward you differently for overseas spend and for local spend. You need to check the conversion rate for RM/mile for both situations. The most value often comes from overseas spend because banks earn more from foreign transaction fees and exchange rates. However, overseas spend may not amount to much of our regular spend on our air miles credit card. If that’s the case, a card that offers higher conversion of RM/mile for local spend might make more sense for you. And always check whether it makes sense to pay overseas with your credit card or whether withdrawing money out of a local ATM is cheaper. Another matter to review carefully in the fine print is air miles tiers. Some credit cards offer you the opportunity earn more miles when you spend more RM per month. Be careful to read the fine print and understand if the card you own or are applying for is one of them. These cards typically require larger spending amounts. 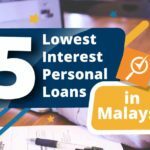 For example, one international bank in Malaysia gives one AirAsia BIG point for the first RM500 spent, 2X AirAsia BIG points for spend between RM500 – RM6,000, and 3X AirAsia BIG points for spend above RM6,000. 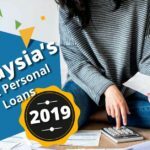 But think about that, you will need to spend more than RM6,000 on your card per month, which for some, may be unattainable. When applying for an air miles credit card, ensure that you meet the minimum requirements which are listed in the CompareHero.my comparison table. The results displayed will be based on the information you provide. 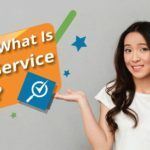 Where to apply for an air miles credit card? 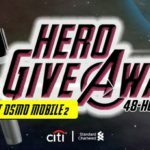 If you apply through CompareHero.my, one of our Customer Heroes will be in touch with you within 1-2 days to verify your details and application. Upon verification, the application will be sent to the bank, and you can expect to hear from the bank once your application is approved within 1-2 weeks. Plus, you get promotions! Book long haul flights: Though it’s tempting to redeem your air miles for every trip you are about to embark on, delayed gratification will prove to you that it pays off to save those air miles for a bigger trip. Save your air miles and collect them until you’re able to redeem a flight ticket half way around the world. Generally speaking, the further the fly, the fewer miles you need per mile flown. Personally, I’ve redeemed my air miles for a flight to New York and paid a fraction of the cost I normally would. Get one that suits your budget: Firstly, you should always get an air miles credit card that fits your spending habits and financial needs. There is absolutely no point in signing up for one that makes you overspend and drives you into debt. You want to be able to gain the maximum returns on your spending. Looking at the figures, you can see the ringgit to point conversion ratio for the Maybank 2 Cards Premier is better than the Citi PremierMiles Visa Card. For every RM0.96 you spend, you would be able to redeem 1 air miles point with the Maybank 2 Cards Premier. With the Citi PremierMiles Visa Card, you would be spending RM4.50 locally and RM2.25 overseas. A lower amount is actually a good thing in this case! 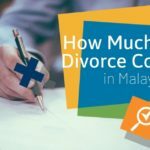 But bear in mind that there are still other factors like minimum income requirements, annual fees and travel perks which you need to look out for before making your decision. Spend with your air miles credit card to earn miles: Shop at stores, boutiques, grocery and department stores, or even online to earn double, triple or even quadruple points on your air miles credit card. The best way is to ensure the store is a partnering merchant with your preferred airline. Look for additional features and benefits: There’s more to an air miles credit card than just getting points to redeem free flights or travel packages. You’ll want one that gives you additional benefits like travel insurance coverage, priority check-in, airport lounge access or even the ability to use the points you’ve earned to redeem other rewards offered by the bank. There are two ways to earn air miles, generally speaking. The first is via frequent flyer programs which we will cover in this section. Secondly, you can sign up directly with frequent flyer programs to earn air miles whenever you purchase flight tickets and travel with the airline. There are 4 big players in the market now, Enrich Miles, AirAsia BIG, Kris Flyer and Asia Miles. Enrich Miles is a loyalty program introduced by Malaysia Airlines to reward its customers. Once you have earned a point (Mile) from your purchases at Malaysia Airlines or selected merchants, you have many redemption options available to you. Redemption options include flights on Malaysia Airlines, Oneworld member airline operators such as Emirates Airlines and Enrich partner airlines. You can even redeem Enrich vouchers for excess baggage payment or enjoy a thrilling flight simulation as experienced by Malaysia Airlines pilots in training. AirAsia BIG is the loyalty program for frequent flyers of AirAsia flights. While AirAsia BIG Points does not allow you to upgrade your seats to a premium flatbed seat from existing flight (bought via cash), you can still use your existing AirAsia BIG Points to redeem free flights on premium flex or premium flatbed seats. Your BIG Points are valid for 36 months from the date when the points are being credited to your account. KrisFlyer miles are tied to Singapore Airlines, Silk Air and other airline partners. Like all loyalty programs, the more you fly with them, the more miles you earn. Take a look at this chart to see how many KrisFlyer miles you’ll earn flying with us, SilkAir and our partner airlines. In addition to redemption of flight tickets, you will also earn KrisFlyer miles through the 200 non-airline partner merchants, whether you stay at a hotel, rent a car, or shop with your credit card. Another loyalty program that rewards you every time you spend. However, this particular program is not tied to a specific airline like Enrich Miles or AirAsia BIG is. Partnering airlines include American Airlines, British Airways, Cathay Pacific, and also include Malaysia Airlines. With Asia Miles, you can redeem your miles for flights but you can also use it for other partner categories which includes, hotels, car and transport, retail, dining, finance and insurance and professional services. When you’ve accumulated enough air miles or rewards points on your credit card, you can redeem them for airline privileges such as VIP lounge access, flight ticket upgrades, ticket and hotel discounts, and other special offers. Remember: The number of miles you accumulated on your card isn’t the same number of actual miles you get. It more or less covers a percentage of the actual price of the ticket, depending on your destination, the provider, the airline, and the number of air miles you’ve accrued. With the Enrich Miles program, there are four tiers in the Enrich Miles membership program: Platinum, Gold, Silver, and Blue. Here’s a closer look at the tiers. How do you earn Enrich Miles? 1. CIMB Enrich Platinum: Earn Bonus Miles with this credit card and redeem one Enrich Mile with every Bonus Mile you have. If you buy your flight tickets with this card, you will get FREE travel insurance coverage up to RM1 million. This zero-annual fee card also offers you 2 times access to Malaysia Airlines Golden Lounges. 2. Citi Clear Card: This Citibank credit card is lovely for those who crave shopping and dining because you can redeem Enrich Miles with the Rewards Points you earn using the card. 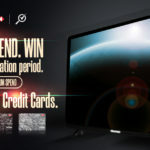 Most importantly, the Rewards Points you collect do not expire. In addition, you can get exclusive deals and promotions at Citibank’s partnering merchants too. 3. Maybank credit cards: Most of Maybank’s credit cards users are automatically enrolled in its loyalty program called Treat Points and it offers a wide range of gifts and privileges for redemptions including Enrich Miles. If you would like to enjoy the flexibility and earn Enrich Miles faster through your shopping and bills payment, check out the best Maybank Credit Card that suits your need here. 4. Alliance Bank credit cards: Similar to Maybank, Alliance Bank’s reward program, Timeless Bonus Points allows its customers to earn points from their bill payments, shopping, local and overseas expenses. With a wide range of redemption choices, you can choose to redeem Enrich Miles with the Timeless Bonus Points accumulated over time. Through partner airlines: The good thing about Malaysia Airlines’ loyalty program is, you can earn Enrich Miles by spending with several airlines within the Oneworld Member Airlines such as British Airway and American Airlines. Oneworld Member Airlines is an integrated membership system to allows members to collect preferred air miles at any of the member airlines. This includes Air Berline, American Airlines, British Airways, Cathay Pacific, Finnair, Iberia, Qantas and many more. Find out the full details on the Enrich Miles you can earn by spending on these airline companies here. Through hotels: Since you are travelling overseas anyway, you can earn extra Enrich Miles by staying at any of the selected hotels or make a booking from these accommodation websites below. Remember to give your Enrich membership number to these hotel operators upon reservation to earn your Enrich Miles. 1000 to 5000 Enrich Miles per night at hotels around the world. Through petrol spend at Petron stations: If you haven’t refilled petrol at Petron before, you might want to start doing it now because you can redeem 100 Enrich Miles with every 400 Petron Miles Points you earn with the Petron member card. Most importantly, applying for a Petron membership is free! How do you redeem Enrich Miles? Step 1: Log in to your Enrich Miles account to check the number of Enrich Miles you have accumulated either through the frequent flyer program, or your air miles credit card spend. Step 2: Choose the award you wish to redeem, then make your redemption. For Malaysia Airlines tickets, you can choose to redeem all your miles or part miles and part cash. If you have a child, you can enjoy lower miles redemption rates as it will be based on the fee of a child’s ticket. You can redeem it online at enrich.malaysiaairlines.com, via their Call Centres, and Ticket Offices. For oneworld and Partner Airlines, there is a different redemption rate and you will need to access the link here for an in-depth look at how to redeem oneworld flights. For non-flight redemption, you can enjoy your Enrich Miles for Enrich vouchers, in-flight shopping, excess baggage payment, and access to the Malaysia Airlines Golden Lounge. Click here for more information. AirAsia BIG points can be used to redeem free AirAsia flights. One of the best ways to earn AirAsia BIG points is via a co-branded credit card. By collecting AirAsia BIG points you can get discounts on future flights, priority on AirAsia sales and exclusive access to BIG point deals. Co-branded credit cards allow you to collect points quicker, and most often at a higher rate than credit cards that are not co-branded. It’s important to note however, that a co-branded credit card rewards you with AirAsia Points for every Ringgit you spend. You need to convert these AirAsia Points into AirAsia BIG points, before you can redeem flights via AirAsia BIG. By collecting AirAsia BIG points you can get discounts on future flights, priority on AirAsia sales and exclusive access to BIG point deals. To help you get those cheap flights, we have listed the best credit cards for collecting AirAsia BIG points. 1. AirAsia-Citi Gold Visa credit card: This card was created as a result of a partnership with Citibank and AirAsia and is meant for people who wants to combine their credit-card spending with flight discounts. Based on your monthly spending, you can earn up to 2x AirAsia Points. You also enjoy several perks provided by Citibank and AirAsia alike including complimentary inflight meals, priority booking and Citi World Privileges. 2. UOB PRVI Miles: This credit card is an excellent choice for the frequent traveler. With increased spending you can increase your reward point gain on this card to 5 times the standard rate. With every RM 5 you spend, you will receive 4 AirMiles which you can then convert into AirAsia BIG points. As a welcome gift, you automatically receive 2,000 AirAsia BIG points and additional 10% off AirAsiaGo hotel bookings. 3. Standard Chartered World Miles World Mastercard: This credit card is an excellent option if you are determined to rack up your BIG points. 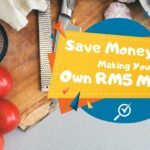 With every RM3 spend locally, you will receive 1 World mile. Every 2 World miles can then be exchanged for 1 Air Asia Big Point. Same goes for overseas spending, but instead of RM3, you only have to spend RM2. If, however, you decide to apply for a rewards credit card, you can still opt to redeem AirAsia BIG points. • CIMB – You can convert 4,000 CIMB bank or CIMB Islamic bank points into 1,000 AirAsia BIG Points. Check out all CIMB credit-cards. • Maybank – You can convert 7,420 TreatsPoints or 5,936 Membership Rewards Points into 1,000 AirAsia BigPoints. Check out all Maybank credit-cards. • Alliance – Alliance Bank allows you convert 3,000 timeless Bonus Points into 1,000 AirAsia Big Point. Check out all Alliance credit-cards. • UOB – Earn 1,000 AirAsia BIG Points when you convert 7,000 UNIRinggit Reward Points. Check out all UOB credit-cards. • AmBank – Earn 1,000 AirAsia BIG Points when you convert minimum 5,000 AmBonus Points. Check out all AmBank credit-cards. • RHB – Earn 1,000 AirAsia BIG Points when you convert 6,000 RHB Reward Points. Check out all RHB credit-cards. • Public Bank – Earn 2,000 AirAsia Big Points when you convert 7,000 Air Miles / VIP Points. Check out all Public Bank credit-cards. • HSBC – Earn 8X Rewards Points for Overseas & Online (Foreign Currency) spend ad 30% OFF redemption on Online Vouchers including AirAsia. Check out all HSBC credit cards. For the exact details on conversion rates, click here. The added bonus of being a BIG member, is the exclusive Final Call Sale which allows you to enjoy up to 90% savings on flights. And if you’re short of BIG points, you can top up the rest of the amount with cash. But this is where your BIG points will help you fly the extra mile. Enjoy one of the best air miles credit cards in the market. The credit card that gives you the fastest air miles conversion. Apply with CompareHero.my and enjoy a complimentary wireless JBL speaker upon approval and activation of your credit card. Documents must be submitted within 5 working days. The card that allows you to multiply your air miles for even more vacations. Enjoy RM500 cashback on dining from HSBC. Don’t waste every opportunity to earn air miles when you spend locally or overseas. If you don’t already own one and have now decided an air miles credit card is for you, you can use our free comparison tool to compare all Air Miles credit-cards throughout Malaysia.